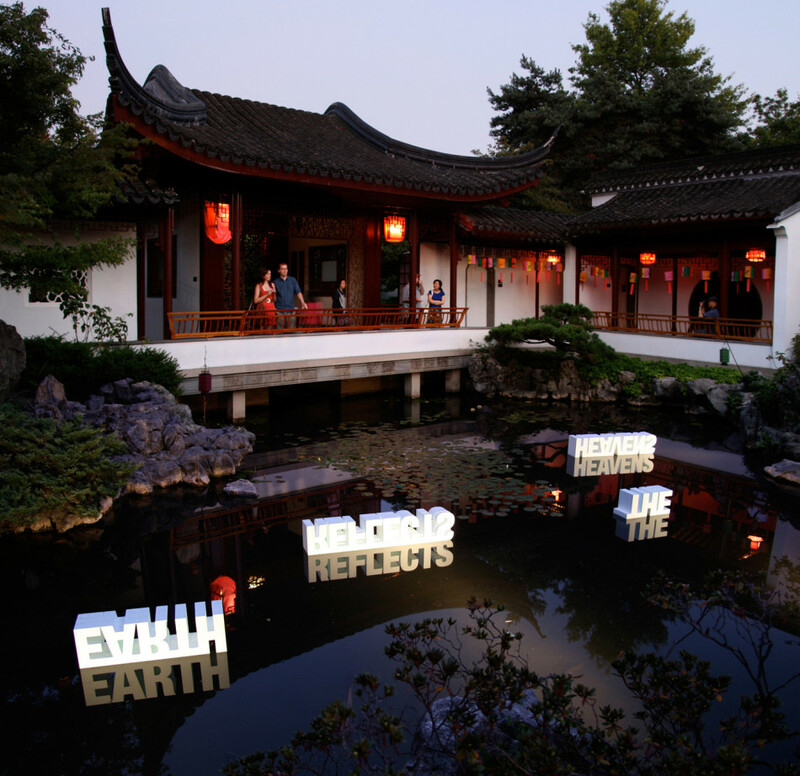 Heaven and Earth is a site-specific installation made for the pond at Dr. Sun Yat-Sen Classical Chinese Garden. Inspired by a 6th century BC Taoist saying, the floating work is read via its reflection. Each word in the phrase floats independently, allowing it to become rearranged with a current or breeze. The potential of this natural grammatical wordplay presents ambiguity in multiple readings, both religious and secular. 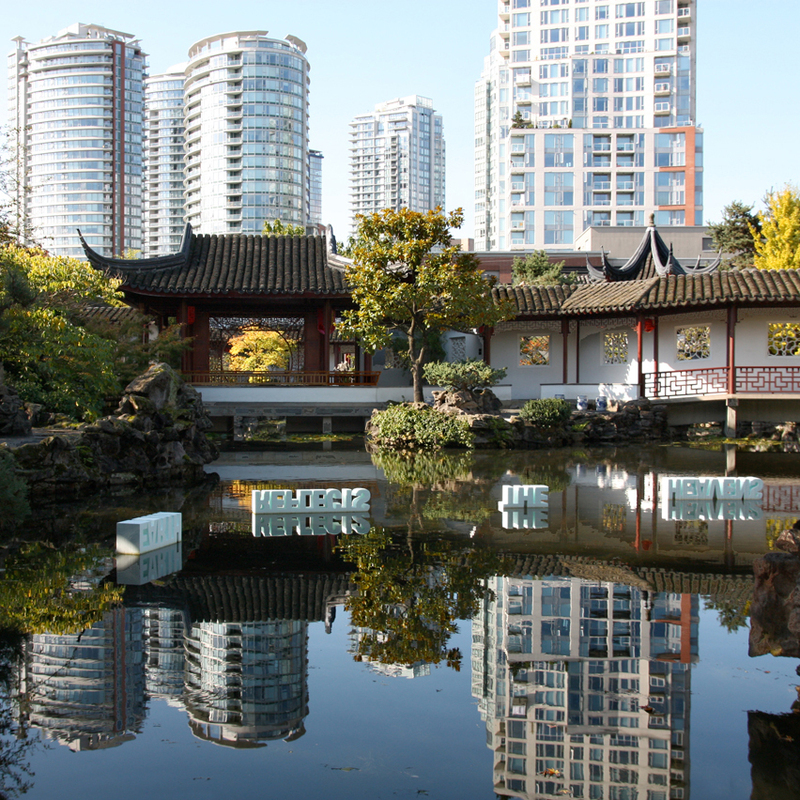 English words in traditional Chinese garden might seem incongruous, but it too reflects a singular cultural moment in Vancouver’s Chinatown.